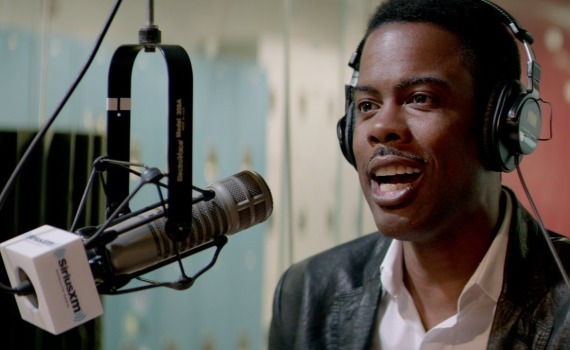 Chris Rock has been trying to become something more than a comedian for about twelve years, without success. In 2003, he wrote & directed his first movie, starring in it as well, a film in which an unprepared black man accidentally becomes President of the United States. It was called Head of State and it did not go well. He tried again in 2007 with I Think I Love My Wife, writing, directing, and starring in a movie about a married man who finds himself in trouble with a temptress. Again, it went poorly. But give the guy credit for perseverance, because he’s giving it one more shot. With Top Five, Rock tries again to completely control a project, to make it his movie, to convince audiences that he’s more than just a funny guy with racial jokes. And here’s why it worked this time; unlike the other two, this third attempt combines comedy with biography, becoming an honest story about Rock’s own life, at least in part, and delivering a product that can finally be taken seriously. Andre Allen is a superstar, or at least was. His old stand up routine is a thing of legend, his hilarious buddy-cop movies were huge hits, and he’s now marrying Erica Long, the face of Bravo reality TV. But Andre wants to be seen as something more than a comedian, something other than a funny face to be paraded across the screen. His new film about a Haitian revolution is his chance to become a serious actor, to move past his glory days into a much more adult era. On a promotional tour in New York, Andre is accompanied by Chelsea Brown, a journalist who is determined to ask the tough questions, to get to the bottom of this complicated man, and to make a story out of his attempt at metamorphosis. Andre & Chelsea grow close over the course of one very eventful day, sharing life stories, connecting over their common problems, and perhaps learning a little about themselves in the process. When I say that you can take this movie seriously, I am by no means calling this movie serious. 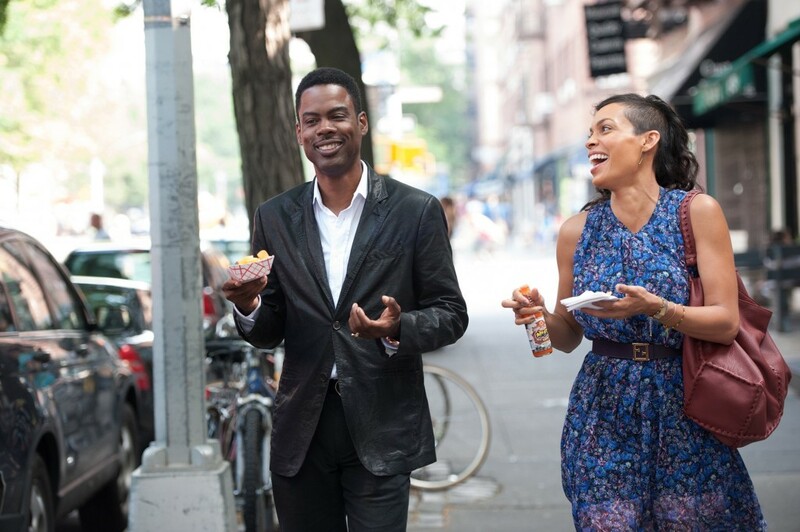 It is definitely a comedy at heart, a film meant to make you laugh above all else, with Chris Rock humor written into every scene the way only he can spin it. I had some doubts going in that his style of humor would be able to cross all boundaries; race, age, taste. But I needn’t have worried; there can exist only a small group of audience members who would find it possible not to laugh at every other moment. The film is laced with biting comedy, crass jokes, self-deprecation, real wit, and more than enough crack-up-but-feel-guilty-about-it surprises to last a lifetime. This might not be a movie tailor-made for everyone, but if you find yourself in the theatre you will do more than chuckle; you will LOL. And a large part of the time it’s not even Chris Rock who’s making you laugh, it’s the cast he brilliantly surrounded himself with in order to take some of the load off of his own shoulders: Kevin Hart, Tracy Morgan, Cedric, J.B. Smoove, Whoopi, Seinfeld, Adam Sandler, Sherri Shepherd, and more, a group specifically designed to entertain. But it wasn’t just funny, that’s the shocker. Top Five has real messages to convey and I heard them loud & clear. It’s a bit of a rom-com, but with a feel for love that’s missing from so many of today’s Hollywood romances. The plot feels believable even when it’s silly, with a chemistry between Rock & Dawson that avoids the cheese. There’s an element of truth with the scenes about alcoholism, sobriety, AA, the club scene, the life of a young comedian who too often loses control. I don’t know how much Rock put in about his own past and how much was fabricated, but the feeling you get is that this happens. And Rock is honest in presenting his desire to move on past stand up, even while loving it, to be taken seriously, even while enjoying the fame he gets for being the goofy guy. It’s not a documentary, it’s not an expose, but it is a refreshingly reflective comedy that can’t be brushed aside. Oscar material? I wouldn’t go that far. 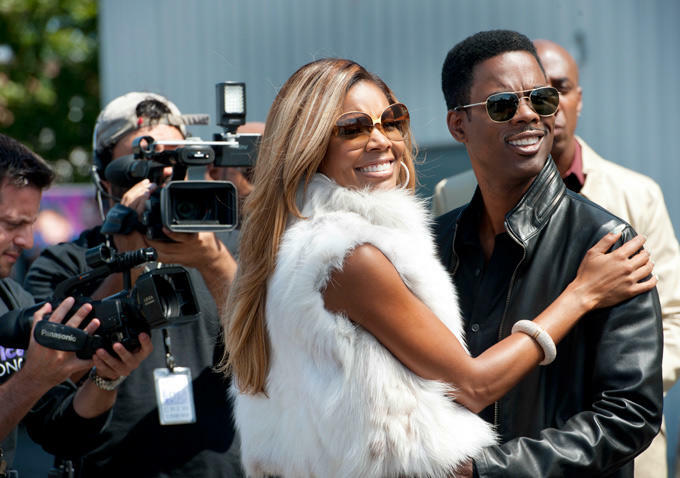 But the best thing Chris Rock has ever done? For sure.